I have some exciting news! 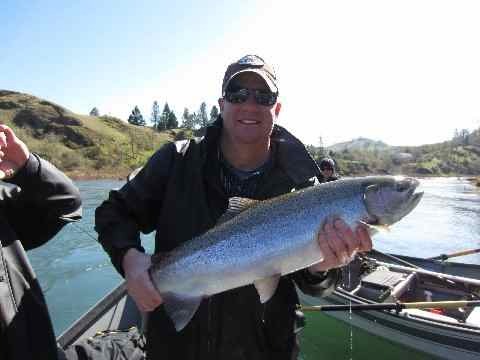 There has already been a Spring Chinook Salmon caught at the hatchery hole on the Upper Rogue River out of Shady Cove Oregon. 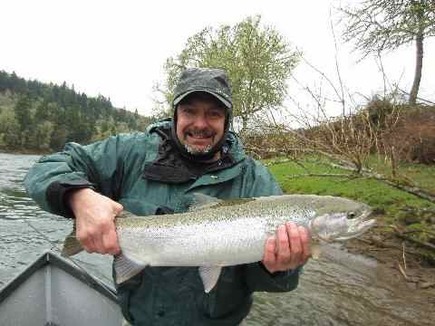 14 lb hatchery salmon confirmed with a picture in our local paper, The Mail Tribune. Although it's too early yet to start targeting them, that's exciting news! It's looking like it's going to be a good run! I will keep you updated! 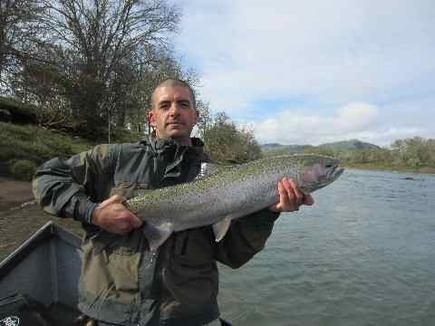 Fishing for Steelhead on the North Umpqua this last few weeks has been really good. The North has been in prime shape, best I've seen! We are averaging 8 to 15 hookups a day, with fish weighing 8 to 15 lbs! 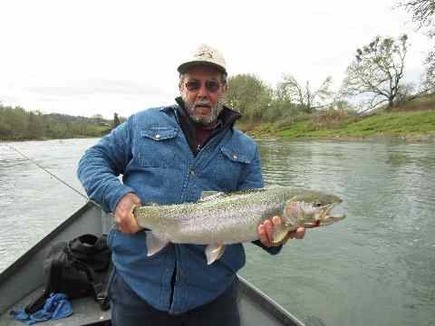 Season will remain good until the end of April if your still interested in fishing for steelhead. Photo #1: North Umpqua, March 16th, We had 4 boats and we did really well!!! !